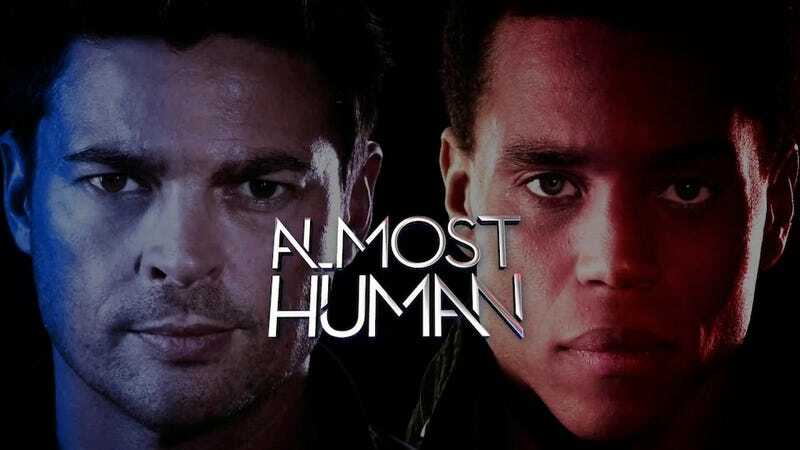 This week's Almost Human episode was the sort of future cop show I wanted to see. Spoilers ahead. "Arrhythmia" was originally intended to be the third episode but I don't think that really affected how the episode played very much. The episode was about Kennex, Dorian and the rest of the cops doing actual detective work – questioning people (without torture), following clues, capturing suspects alive – instead of using the Daryl Gates excessive force method of policing. The second Dorian was an interesting B plot. It makes sense that some of the models were repurposed for other uses (like the Emergency Medical Holograms). I really hope there are more episodes like this.